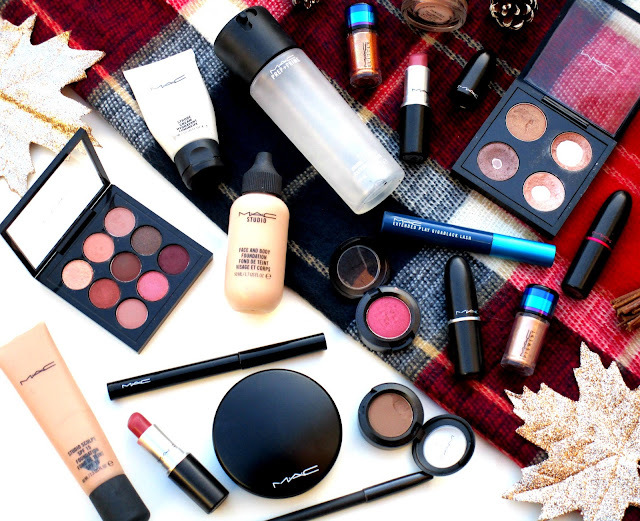 During 2016 I bought and road tested a shed load of makeup, honestly I have enough makeup to last me a lifetime with some to spare he he but the one brand that stands out to me the most throughout last year was Mac! 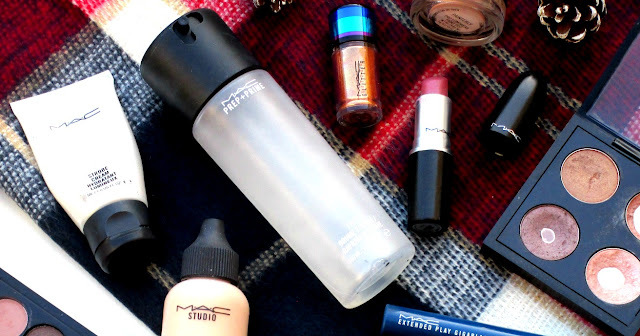 I'd say I was quite late to the Mac party and only started buying and collecting their makeup over the last couple of years but once I started I couldn't stop. During 2016 I added more pretties to my collection and got totally addicted to MAC lipsticks in particular, I'd say the lipsticks where actually my all round Mac 2016 favourite, Twig, Faux and Brave have literally been worn by me more or less everyday and I'd never be without those shades in my handbag now. Eye shadows are something else from Mac that I loved in 2016, I purchased their Burgundy Times Nine Palette to wear throughout Autumn and loved it so much, I also have a bit of an obsession with Satin Taupe and All That Glitters Eye shadows too and wore them to death throughout 2016. 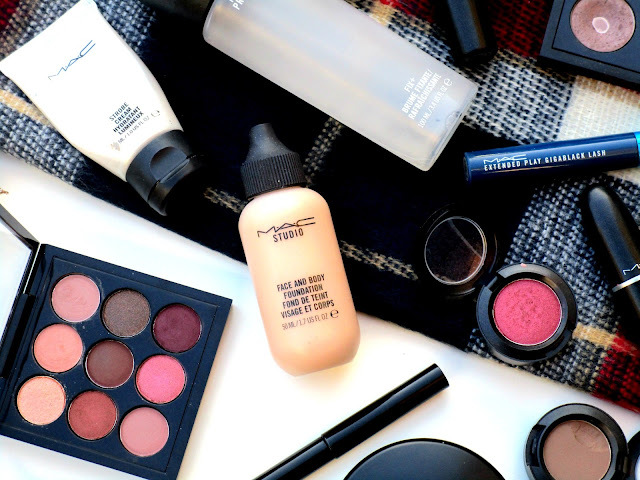 I also branched out to some of Mac's base products last year starting with their Fix+ Spray which is amazing by the way, and then went on to get the travel size Strobe Cream which if your a lover of a dewy, healthy look to the skin you need in your life. 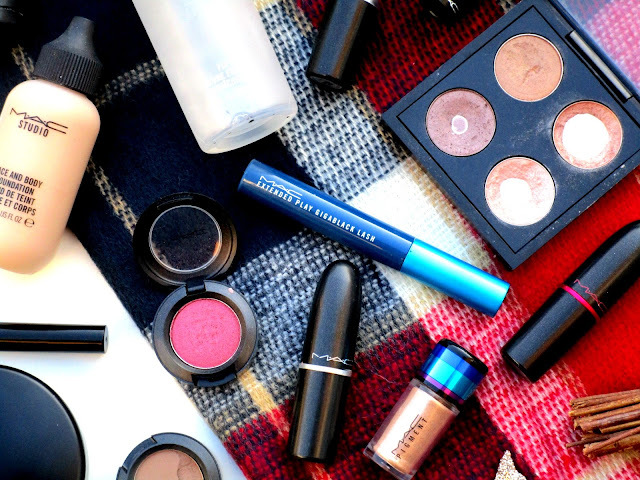 Overall I've absolutely loved Mac makeup during 2016 and I hope to add a lot more of their pretties to my makeup collection this year, I've already got my eye on some more lipsticks and I'd love some of Mariah Carey's collection if it comes back in stock. What are your favourite Mac makeup finds? I'd love to know beaut's!